LIBEIN SISTEMAS works with major international companies. One of our customers is a leading player in the steel industry and employs over 490,000 people in more than 60 countries. 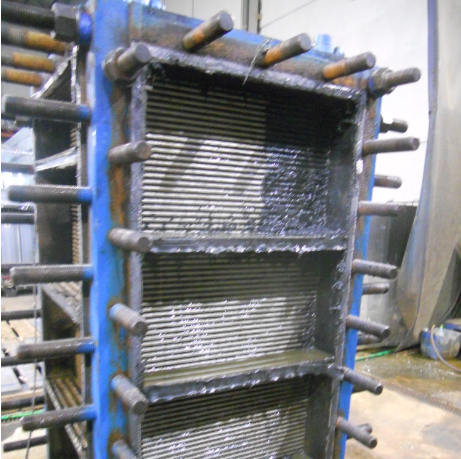 Like every month, this time we are dealing with the cleaning and sanitation of a compabloc heat exchanger. Once we started working and removed the covers, we found that the blockage was quite severe. Using our standard processes and our ultrasonic cavitation technology, we managed to clear the equipment, providing it once again with its maximum heat exchanging capacity. 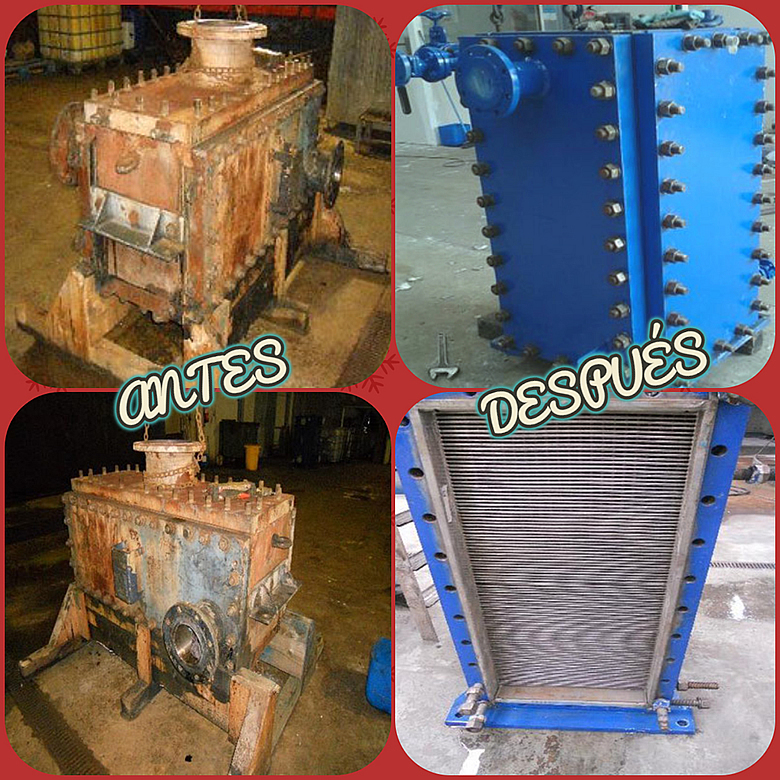 After finishing the cleaning processes applied to the compabloc heat exchanger, we assembled it and replaced all its seals with new ones. Then, we painted the equipment following the manufacturer’s recommendations, which resulted in an excellent finishing touch. Before delivering the equipment to the customer, we performed water-tightness tests to ensure it was working correctly. 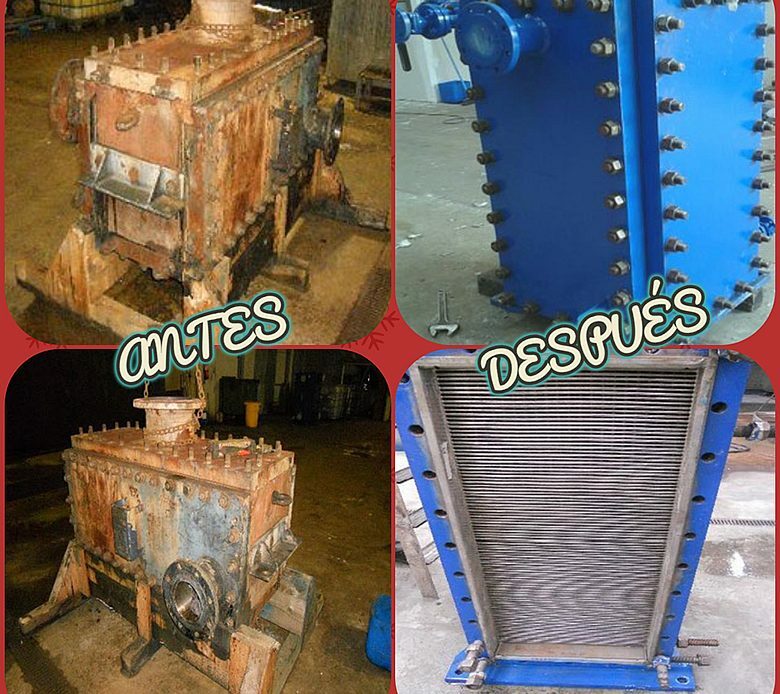 The results obtained using our systems ensure that the customer’s equipment will perform at its highest level, extending its life and, thus, reducing production costs. LIBEIN SISTEMAS is a great ally capable of providing all types of equipment cleaning and sanitation solutions.